A two-month-old girl was on Tuesday evening allegedly burnt by her step-mother, after she set the hut the baby was sleeping in on fire. The incident happened at Bugunalire Lower village, Mutoto Sub County in Mbale District. 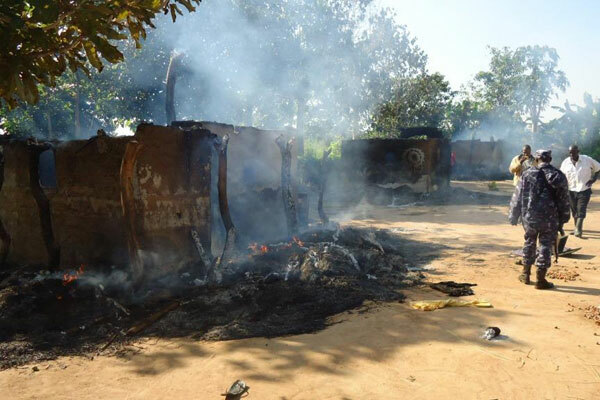 The Mbale District Police Commander, Mr Mathias Turyasingura, told Sqoop on Wednesday morning that the deceased identified as Elijah Wambutu, a daughter to Bernard Wakayinza, was burnt after the former’s hut was set on fire at around 5pm by allegedly the step-mother. “We have started investigations into the matter to establish what exactly happened. We are applying all the possible means to have the suspect/s arrested,” Mr Turyasingura, said. According to Mr Robert Mujasi, the area defense secretary, the suspect who is currently on the run, has been having misunderstandings with the mother of the deceased, Babra Mutonyi over a man. He added that said there was a lot of commotion at the scene after residents assaulted the neighbour, Ms Jamawa Irike, after they suspected her of playing a role in torching the hut. Sqoop has learnt that homicide team with Scene of Crime Officers visited the scene and later took the body to Mbale Municipal mortuary for postmortem.